The core purpose of the staff at St Mark’s is to work together to fully meet the diverse range of children’s academic, emotional and social needs. They work in partnership with parents and governors to support children in reaching their potential on their learning journey. Our highly dedicated team of Teaching staff work together in Year group teams to plan and deliver stimulating and creative learning opportunities that match the needs and provide challenge for all our pupils. 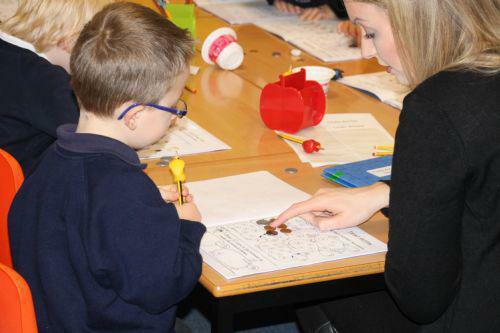 We are fortunate at St Mark’s to have a committed team of support staff, who work alongside the teachers to provide high quality support both in the classrooms and in providing appropriate interventions to further the development of children’s literacy and numeracy skills. The outstanding quality of pastoral care we provide for children and families is supported by our Parent Support Advisor. She is an invaluable source of guidance for parents, carers, children and staff. In addition, she leads many of our initiatives that develop aspects of the children’s social and emotional learning. Our caring team of lunchtime staff (SMSA team) fully support the needs of the children during the lunchtimes by encouraging children to play together in a safe and friendly manner whilst promoting physical activity through playground games. The administration team, caretaker, kitchen staff and cleaning staff provide a quality service to assist the head teacher in the smooth running of the school on a day to day basis.